Where people are the subjects, normally the three point plan of lighting is used; a key light providing the modelling, a fill light to fill in the shadows and a back light to highlight the hair and separate the subject from the background. The three point plan is not a hard and fast rule but a good starting point. In real life situations not everything follows this plan. Study faces in real situations and see where the lights come from. Try to emulate this in your productions. 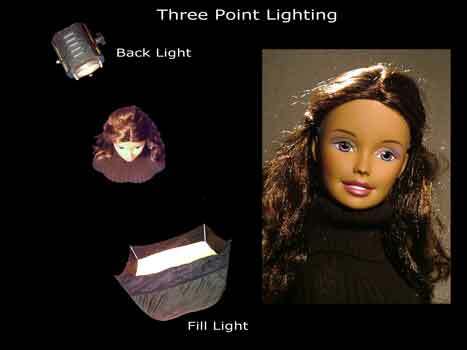 This lighting plan is for people in general and background lighting requires different techniques. 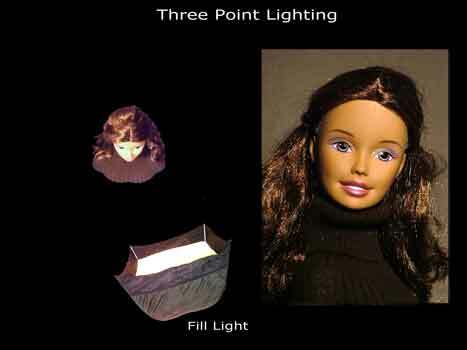 Go to Environmental Lighting for advice on lighting backgrounds. 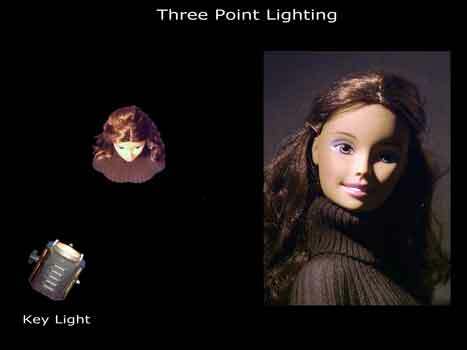 The key light is a hard light and is placed high and to the left or right of camera. This provides the modelling. 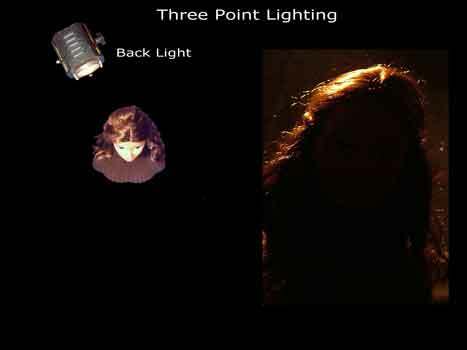 For a Key to Fill ratio of two to one the fill light must be half the intensity of the key. 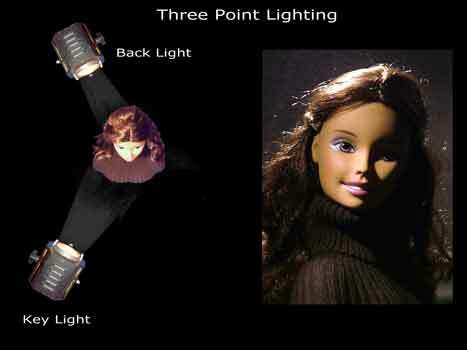 Now all the lights are set we have three point lighting. All photos Copyright and must not be reproduced without permission. 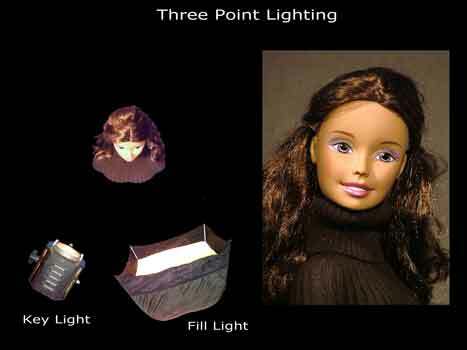 The fill light is a soft light and is placed the opposite side of camera to the key. This light is of less intensity than the key. This fills the shadows. The back light highlights the hair and shoulders and separates the subject from the background. Should be the same intensity as the key. 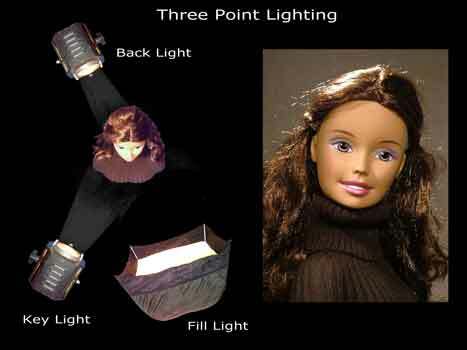 This lighting can be used for dramatic effect or the Film Noir look.